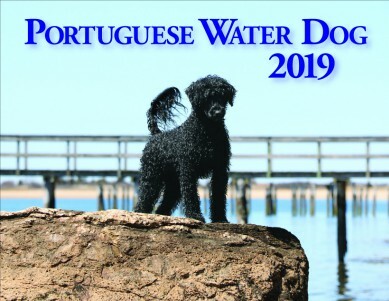 The 2019 Nutmeg PWD Calendar, once again, is filled with fabulous pictures of our favorite and endearing Portuguese Water Dogs! Participating in their favorite activities, be it frolicking in the waves, leaping through snow and covered in ice crystals or flying through the air to catch a treasured ball...many marvelous photos from all over the world! Another year of monthly treats for us humans!